Enter a description of the task into the field Name. Furthermore, you can change the task type by clicking on the word “Change.” (A new subdialog will appear.) 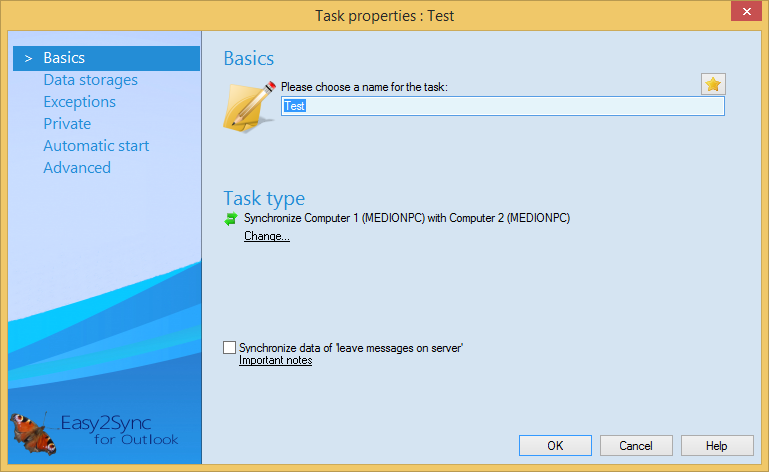 By default, the task type “Synchronize” will be used. This means that both computers have the same rights and all changes will be transferred to the other computer.